Exposed bedrock in Millochau Crater. There are some very nice sediments here. The crater measures 115 kilometers in diameter and was named after French astronomer Gaston Millochau. 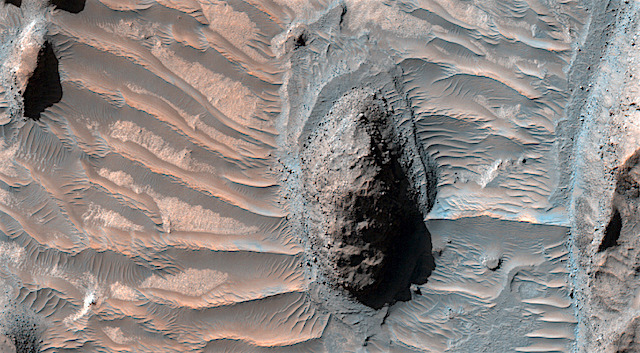 This entry was posted in Reports and tagged Beautiful Mars, bedrock, High Resolution Imaging Science Experiment, HiRISE, Mars Reconnaissance Orbiter, Millochau Crater, MRO, NASA, sedimentary deposits, University of Arizona. Bookmark the permalink.